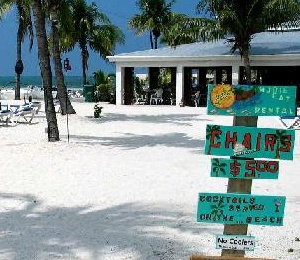 The waters of Key West are a snorkeler's paradise. This is your opportunity to dive into the underwater world of Key West and get a close look at the natural habitat and all its inhabitants beneath the surface of the shallow, clear waters. The Florida Keys is part of the only living coral reef in North America, and the third largest coral reef in the world. There is no other location to explore the thousands of vibrant fish and other ocean life that thrive among this colorful coral reef formation that is their home. Snorkeling the crystal blue waters and the breathtaking coral reef has become one of Key West's most popular attractions. Explore the wonders beneath the waves as you examine the abundance of marine life right before your eyes. This is your chance to see over 400 different aquatic reef fish, some of which cannot be found anywhere else on earth. 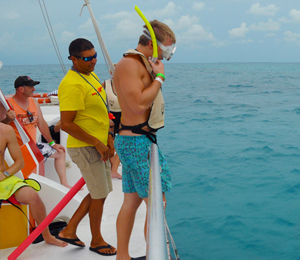 Snorkeling in Key West is available year-round due to the extremely amiable climate on the southern tip of Florida. 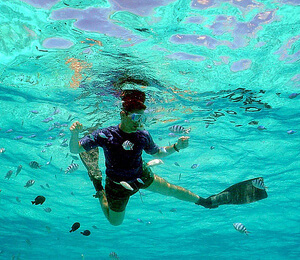 The warm, sunny climate makes for a perfect day for snorkeling and is a fun and enjoyable experience for everyone. 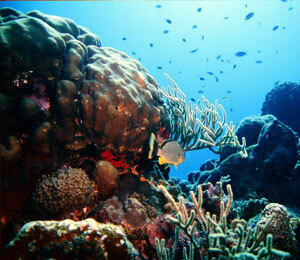 Also, snorkeling the reef is easy even for those that have never tried snorkeling in the past. Our key west snorkeling excursions surrounding Key West provide all necessary snorkeling gear, and guide you to all the secret reef locations that only a local who has sailed these waters for decades could find. Our guides know the perfect reef locations on the reef for an ultimate day of snorkeling where you will encounter a greater array of reef fish and animal species than you thought possible. The waters of Key West are also scattered with dozens of shipwrecks that have plunged deep beneath the surface over a century ago. These sunken structures are now home to a myriad of fish and other ocean life that use these ships as shelter from larger predators. The rich, underwater environment that surrounds this island paradise and the memories it will create for you and your family truly cannot be matched. A vacation to Key West simply isn't complete without exploring the greatest natural wonder Key West has to offer, and with the wealth of marine life and the amazing clarity of the pristine water you will not regret your decision to enjoy a Key West snorkel.